Website loading speed on a PC is very much influenced by the response time of the DNS server it uses. Even if you have high bandwidth Internet connection, a crappy DNS server can ruin the benefits. It is because your computer needs to communicate with Domain Name System server to convert the domain name you type on the address bar of a browser to the respective IP address. If you type the IP address on the browser address bar instead of domain name, you do not need Domain Name System server but most users (including me) use URL of the website to reach it. So you cannot avoid the importance of using fast Domain Name System server. By default, every computer uses the domain name system details provided by the ISP. It is a very controversial topic whether the ISP domain conversion or other open DNS servers work better. There are so many options available for a user if he feels his ISP is providing a slower domain to IP conversion. 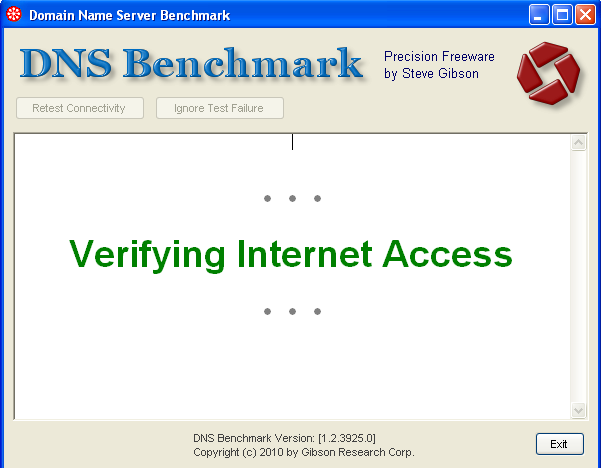 If you are not sure which server is best suited for you or if you are in a confusion to determine the fastest DNS server available for your computer, you can check it with a free tool named DNS Benchmark. Domain Name Speed Benchmark is a free utility to find the high performing DNS server for your computer. It is written in assembly language (lightweight) by Steve Gibson and it does not even require installation. This software tests various name servers and sends you a report of the time each name server took to respond. This helps you to find the fastest DNS server address for your computer. 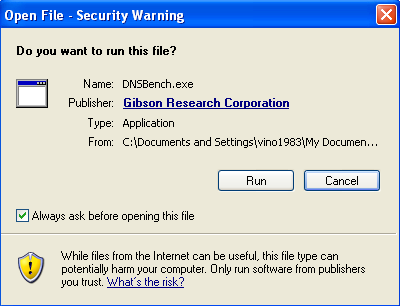 To download DNS Benchmark, you may go to the link below. After downloading this software, you should click on Run. Since this software does not require installation, it will check the Internet connection right after you click on the Run button. To run a test to find the fastest DNS server for your computer click on Name Servers tab and click on Run Benchmark button. Soon after you click on Run Benchmark, you can see the test conducted by DNS Benchmark. you should click on conclusion to read the recommendations for your computer from the test conducted by this tool. You can configure your computer with the help of details provided by it.